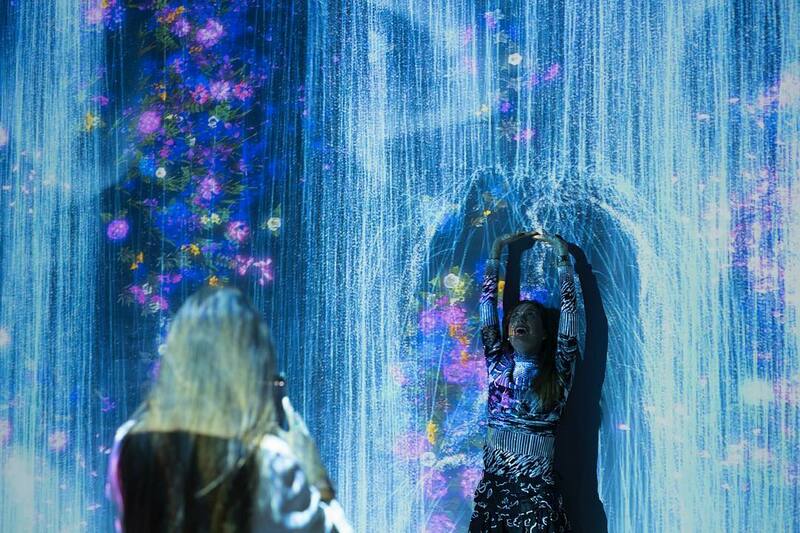 Mori Building a leading urban developer in Tokyo, and the art collective teamLab announced that they will jointly open “MORI Building DIGITAL ART MUSEUM: teamLab Borderless” a full-scale digital art museum in the Palette Town complex of Odaiba, Tokyo in the summer of 2018. The concept of a completely new museum is an initiative of collaboration between Mori Building a prominent supporter of culture and art, and teamLab an interdisciplinary creative group that uses digital technologies to express art. teamLab’s first permanent exhibition and facility in Tokyo will boast a massive 10,000 square meters of labyrinthine floor space. The word “Borderless” expresses the museum’s aim to tear down the borders between: “one art and another,” “art and visitors” and “oneself and others”, allowing visitors to melt into the art and become part of it. Mori Building and teamLab hope that their groundbreaking museum will inspire people to create enlightened new values and innovative new social frameworks. Mori Building actively works to integrate art in cities, including by staging important cultural activities. Today, cities need culture and art to expand their magnetic power to attract creative people and enterprises from throughout the world. teamLab is art collective, an interdisciplinary group of ultra-technologists, whose collaborative practice seeks to navigate the confluence of art, science, technology, design and the natural world. Various specialists such as artists, programmers, engineers, CG animators, mathematicians and architects form teamLab. teamLab aims to explore a new relationship between humans and nature through art. We see no boundary between ourselves and nature; one is in the other…Everything exists in a long, fragile yet miraculous continuity of life. and National Gallery of Victoria, Melbourne.